Well, John Woo's RED CLIFF is finally getting released in western theaters (more or less...mostly less) and that means a western release of Taro Iwashiro's beautiful score is coming as well. In this month's Movie Caption Contest you could win Silva America's soundtrack release. 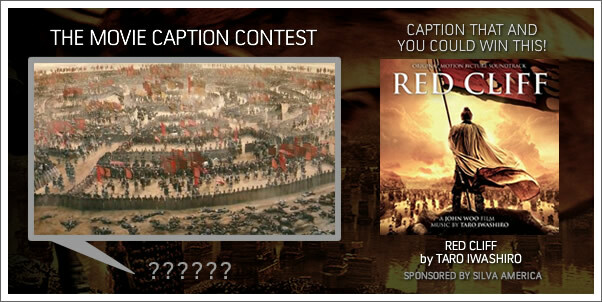 Sharpen your wit and creativity and enter up to three separate captions, today! Contest closes on November 30, 2009.